Need a leadership role model? Who you gonna call? When the guy who wrote “Animal House,” directed “Caddyshack,” and starred in “Ghostbusters” dies, you have to pause and pay tribute. At least you do in my home. 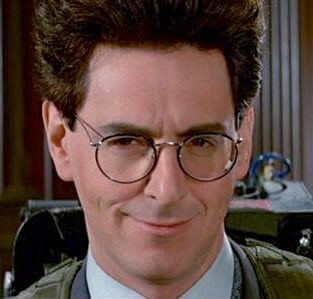 Harold Ramis was the genius behind other classics like “National Lampoon’s Vacation,” “Stripes,” “Analyze This,” and “Groundhog Day.” Some of his generation’s most iconic comedies — and some of my favorite movies of any generation — grew from his warped and brilliant mind. In retrospect, he was also a perfect role model for those of us trying to make it in our chosen fields. As a writer, he put words into the mouths of other people who would get way more credit for the work that he ever did. As a director, he led casts and crews in creating some of the most groundbreaking and innovative comedies of the past 40 years. As an actor, he knew instinctively when to take the spotlight and when to let someone else have it. He taught himself how to do anything. He wrote the words, offered the direction, and played the sidekick that turned others on his team into stars — whatever it took to produce a hit. Sounds like a leader to me — someone who reads the stars and sets the course, then empowers others and gets out of the way. Or maybe this is all just an excuse to embed some really funny video into today’s blog post. Either way, we all win.